Rangamati, the largest district of the country, is situated on the south-eastern part of Bangladesh at the bordering areas with India. The district is a part of Chittagong Hill Tracts under Chittagong division. The district is renowned for the lash vegetation and scenic beauty of nature under 6116.13 sq km area. A number of places in the district like Kaptai lake, Hanging bridge, Tribal museum, Suvolong fountain etc. attract tourists from both home and abroad.Different ethnic community eg, Chakma, Marma, Tanchangya, Tripura, Pankua, Lushai and Khiang are living together with Bangalees. 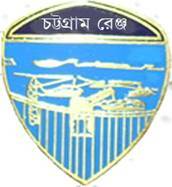 It was recognized as a district in 1983 having 12 police stations - Kotowali, Kaptai, Kowkhali, Rajasthali, Bilaichhari, Langadu, Naniarchar, Juraichhari, Barkal, Baghaichhari, Chandroghona and Sazek. Rangamati district police administration is divided into 03 circles.